We all do a little bathroom dancing. Don't deny it; we know you do the Shakira with your paunch. Occasionally you try out the revolutionary pelvic thrust or slip while you do the famous Moonwalk. These memorable steps have not only inspired us and served our needs of constant entertainment and fun, but also helped dance evolve from its classic and ballet boundaries. Elvis was the first to lead dance through its first steps towards versatility. If it wasn't for Elvis the Pelvis, we wouldn't be able to wiggle to party songs. Maybe we would still be criticised for shaking our hips in public, or worse, be thrown in jail. In the 1950's this was what Elvis had to go through - constant disapproval for this one move! But eventually it reached out to people and voila! We can cha-cha in peace. After Elvis, MJ took modern dancing to a whole new echelon. While he was still with the Jackson 5, he brought to stage his wowing robot dance when performing to Dancing Machine. This gave birth to countless genres including popping and locking. The Moonwalk came in next in the performance of Billie Jean. The illusion left the world stunned. The crotch-grab and the anti-gravity lean followed. The crotch-grab was MJ's version of Elvis's pelvic thrust. It appeared in the video of 'Bad'. He mostly did it during the 'Ow! 's, which lead to the argument whether he could only make those high-pitched vocals while executing the move. The duckwalk - getting low to a squatting position and moving forward with the lower leg with the other leg in the air while rocking out on the guitar - is another unforgettable move. Performed by Chuck Berry, this guitar showmanship has grown onto guitarists after him, including Angus Young of AC/DC and his audience. Then there was Madonna, revolutionising the world with her aggressive music and dancing. Probably the first female performer after Janis Joplin to be considered electric. Since her moves vary from abstract smooth movements to the robot, it's difficult to pinpoint a signature move. MC Hammer introduced the running man step, an illusion of a man running while staying on the same spot - a silly dance move without which the party remains incomplete. The twist is another such move. Introduced by Chubby Checker, it became the first worldwide craze during the early 1960s, especially among young people and it's still there. We all do a little twist sometime. 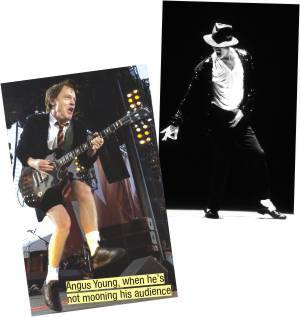 Also Mick Jagger of the Rolling Stones and James Brown also have dancing skills they are not afraid to show off. 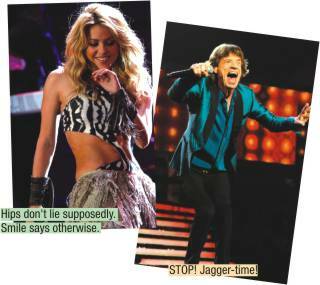 They even made a song out of Jagger's dancing - Moves Like Jagger by Maroon 5. Then of course, there was Shakira. With their amazing music and breath-taking steps, they have won the hearts of millions and have become legends. They have inspired many young souls and made dancing so much more fun. Now excuse us while we learn salsa from YouTube. 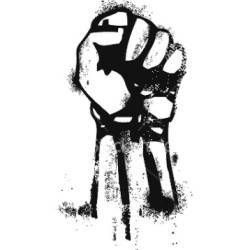 May Day has come and gone by the time you are reading this. Most of us have a vague idea about it: somebody protested somewhere and died for their rights and so we have a day off from school. But occasionally, curiosity peaks. Who died? Where? Why? You see, things were bad for factory workers in the 1800s. There were long hours, lousy safety regulations and practically no compensation for injuries sustained. Factory owners and management were generally out-of-touch with basic human emotions. How do we know that? Well, they conducted a study in the 1920s in a place called Hawthorne Works, to test if the intensity of light had any distinguishing effect on productivity. The results were not what they expected; production increased regardless of the lighting and fell only when the experiment was concluded. What they figured out, and we can't overstate the fact that they needed an experiment for this, is that people work more (read: better) when they are paid more attention. It's now called the Hawthorne Effect. So these people, who worked tough, monotonous jobs, six days a week, for very long hours for basically the peanuts that we at RS get paid, decided enough was enough and set an ultimatum for the eight-hour work day. On the day the ultimatum ended, the workers involved in the American labour movement went on strike. That day was 1st May 1886. But on the 4th of May at Haymarket in Chicago, there was a rally. As it often happens in rallies and hartals, some douchebag decided to throw a dynamite bomb at the police while the police were dispersing the crowd. The resulting shootout killed seven policemen, mostly from friendly fire, and “at least” four workers. This demand for “a normal day” spread global through France and by 1890, May Day was celebrated world wide in demand for eight-hour working days. That would not be the first or the last time workers had to die for their rights. Even during the Roman era workers revolted against mistreatment: Spartacus and the Slave Revolt, anyone? Their crowning glory was perhaps the October Revolution in Russia, which happened, funnily enough, during September. Of course, it was October in the Old Style Julian Calendar which they were following so you can't really blame them. We currently follow the Gregorian Calendar. Why did the Americans choose May 1st as the day to go on strike? Well, May Day is traditionally a Spring Festival in the Northern Hemisphere. And spring is when things begin anew. Nature throws off her winter stiffness and sings a new song. Perhaps the workers thought the factory owners would sing, too. PS: May Day has nothing whatsoever to do with Mayday, the distress call; that one originated with the French. It comes from “m'aider”, which means “help me”. 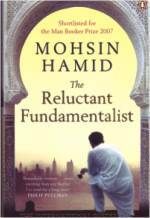 The latter part of the above quote from the book describes perfectly how I felt after turning the final page of The Reluctant Fundamentalist by Mohsin Hamid. No one can blame me for assuming it was anything but a thriller given the title. Which only goes to show that one should never judge a book by its cover. The story is told in monologue by the protagonist, Changez, to an unnamed American man in a busy Lahore café while dusk is settling in. The two are strangers and the foreigner appears to be at unease with this apparent chance-meet and the almost forced hospitality of this Pakistani man who narrates his life-story to him, that too, in excellent English. Changez tells him (and us) of how he graduates from Princeton and finds himself living the American dream with a highly-paid job at a valuation firm and a lovely, but troubled love-interest, Erica. He suffers from identity crisis like so many other migrants but quickly makes his niche among New York's elite. Then 9/11 happens, and his world changes, along with the world itself. The beauty of the novel lies in the effortless story-telling, almost musical in a way, which engages the reader's attention from the very first line, and keeps a tight hold of it throughout. There are no bombs and no guns- but the tension is suffocating. The reader is often made to feel that the two strangers may be enemies of sorts and this makes one jump to all kinds of strange conclusions about the end of the evening, while the writer leads you on to an ingenious little twist. Mohsin Hamid skilfully uses the power of understatement to create in the mind of the reader a sense of urgency that lasts till the ending words. This is a rare piece of literary fiction which has made it to the international best-seller list. Maybe it's because of how closely, almost personally, the writer talks about the bipolar world following 9/11. Hamid is also a Princeton graduate, born in Pakistan but with his childhood years in the States. Maybe it's because you can't help but take a side, either for or against Changez, who is brute in his honesty and open about his idiosyncrasies. Or maybe it's just because Changez is an incredibly real man who, over an afternoon cup of tea, defines the conflicts of the past decade. A must read for anyone and everyone who looks for intrigue in a book and likes to be left thinking.